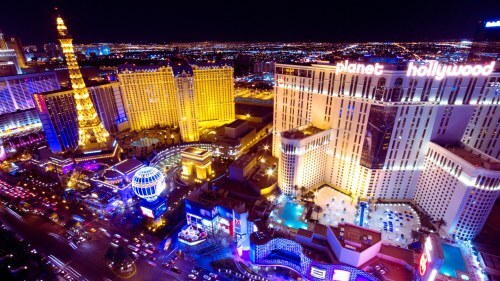 WestJet is showing non-stop flights in late April, May, and June from Toronto to Las Vegas for $309 CAD roundtrip including taxes. Before getting too excited, there aren't any ideal Thursday/Friday to Sunday/Monday combinations. They are mainly Saturday to Tuesday/Wednesday or mid-week to mid-week dates. On Priceline the price will show up as $230 USD roundtrip including taxes, which will work out to $312 CAD when booked using a Canadian credit card, and including the typical credit card foreign exchange fee. Update: FlightHub is also showing these for $309 CAD roundtrip including taxes. toronto, yyz, westjet, flight deals, united states, las vegas, nevada, las and north america. One Response to "Toronto to Las Vegas - $309 CAD roundtrip including taxes | non-stop flights"
Would love this deal, but not in Trump's America. Too risky trying to cross the border.